Good for one calendar day of good old fashioned brewery hopping. With each (repeating) loop taking approximately one and a half hours, you’re free to park it at your favorite brewery all day or hop from stop to stop and try them all in a day (we dare you!) And with us behind the wheel, all you have to do is sit back, relax, and enjoy the ride. We'll make stops at 20 Nashville area breweries and beer joints approximately every 1.5 hours. Be on the look out for our big green trolley. This is not a guided tour, although we're happy to pass along some recommendations along the way. Ask us about specials offered by some of our brewery partners. Stay at one brewery for as long as you'd like or try to hit them all. 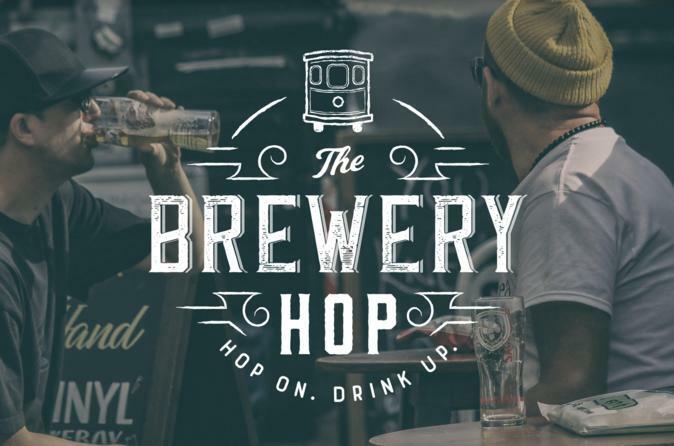 Visit our website, www.thebreweryhop.com for a list of breweries we visit. You're free to join the tour at any part of the day at any brewery on the route. You may ride the trolley for as many loops as you'd like in a day. You may book your trolley fare months in advance or the day of. Please note that tours of breweries and tastings are not included. These are at your own expense if you elect to do so.